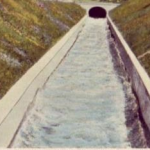 The Ashokan Release Channel was decreased from 200 to approximately 50 MGD. The decreases were executed incrementally from 1PM to 5PM on Tuesday, July 16th. The current release channel turbidity is 3.20 ntu. The current release channel turbidity is 3.5 ntu. The Ashokan Release Channel was increased from 250 to approximately 350 MGD. The increases were executed in 40 MGD steps from 11AM to noon. Based on the reservoir level and 7-day weather forecast, the Release Channel was increased to meet the seasonal target reservoir capacity, in consultation with NYSDEC. The current release channel turbidity is 4.5 ntu. The Ashokan Release Channel will be increased from 50 to approximately 250 MGD. The increases will be executed in 20 to 40 steps from 5PM to 8PM this evening and 7:30AM to 8AM tomorrow. The current release channel turbidity is 4.50 ntu. The Ashokan Release Channel will be increased from 15 to approximately 50 MGD. The increases will be executed in two steps from 3:30PM to 4:30PM. The current release channel turbidity is 3.7 ntu. The Ashokan East Basin is currently spilling at 42.6 MGD. In accordance with the Interim Release Protocol for the Ashokan Release Channel, NYCDEP is making discharge mitigation releases to meet the Conditional Seasonal Storage Objective (CSSO). The Ashokan Release Channel will be decreased from 150 to approximately 15 MGD. The decreases will be executed in 20 to 40 MGD steps from 2PM to 6PM. The current release channel turbidity is 5.70 ntu. 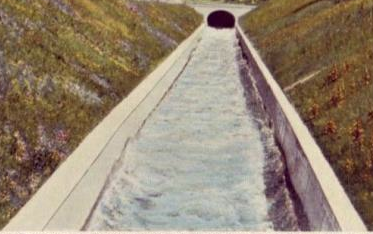 The Ashokan Release Channel will be decreased from 200 to approximately 150 MGD. The decreases will be executed 30 to 40 MGD steps from 1PM to 2PM. The current release channel turbidity is 6.4 ntu. The Ashokan East Basin is currently spilling at approximately 125 MGD. The Ashokan Release Channel will be decreased from 300 to approximately 200 MGD. The decreases will be executed in 20 to 40 MGD steps from 2PM to 3PM. The current release channel turbidity is 6.40 ntu. The Ashokan East Basin is currently spilling at approximately 264 MGD. The Ashokan Release Channel will be increased from 200 to approximately 300 MGD. The increases will be executed in 20 to 40 MGD steps from 12:30PM to 1:30PM. The current release channel turbidity is 6.60 ntu. East Basin Spillway is flowing at approximate 459 MGD. The Ashokan Release Channel will be increased from 15 to approximately 200 MGD. The increase will be executed incrementally in 20 to 40 MGD steps from 1PM to 7PM. The current release channel turbidity is 5.50 ntu. The Ashokan Reservoir East Basin spillway is currently flowing at approximately 778 MDG.